Mike and I were travelling in Nova Scotia over the past week :D We had a magical time driving through the mountains, marveling at the sea and chatting with very friendly locals. I will share more pictures about our trip in other posts. 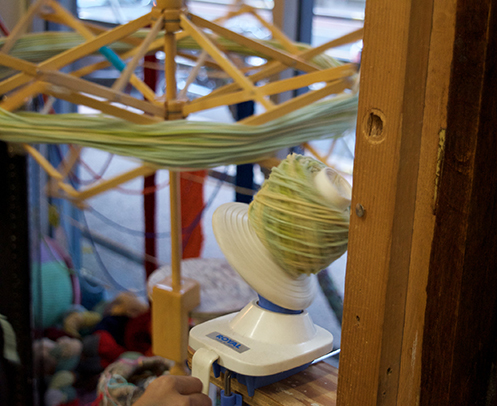 But first, yarn! 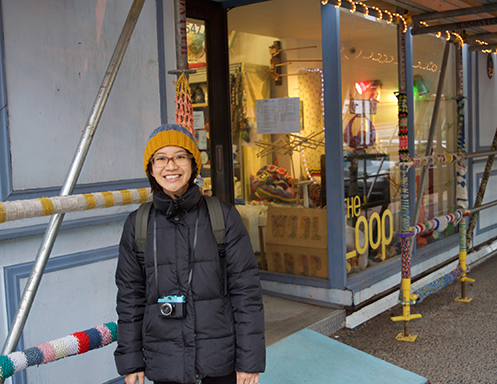 We first stopped in Halifax (where I was actually attending a conference before we rode off to the sunset and the sea and fun times), and not far from where we were staying is The Loop! 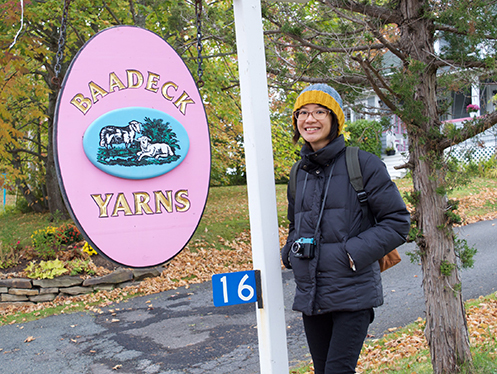 I could have brought the project I was working on at home, but because I mostly knit with straight, long (and metal!) needles, I was doubtful about bringing them on the plane. 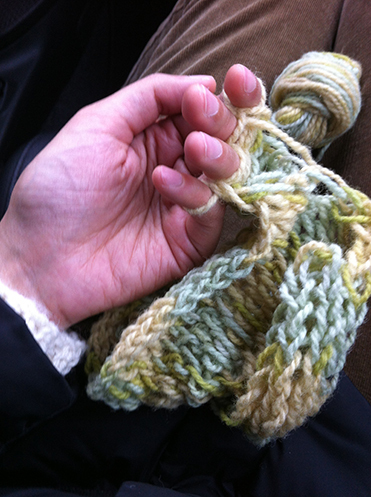 So I figure I’d finger‐knit! The shopkeeper is so very friendly! 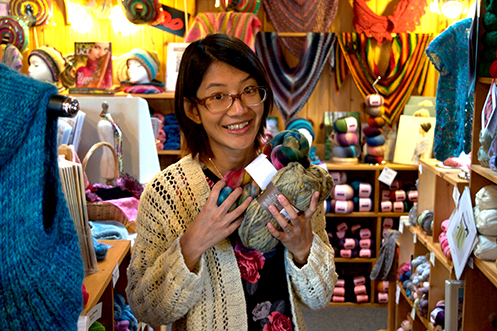 She showed me the beautiful crocheted cardigan she just finished, we exchanged experiences with various knitting stitches, then she chatted with Mike while I went around the store to touch everything. This is me being ridiculously happy being in this store. 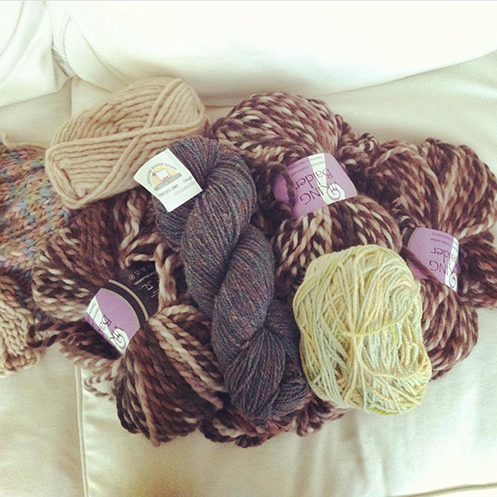 I seriously had a super hard time walking out the door, with the kind shopkeeper and all the yarns… but eventually I did. And hope to return one day. 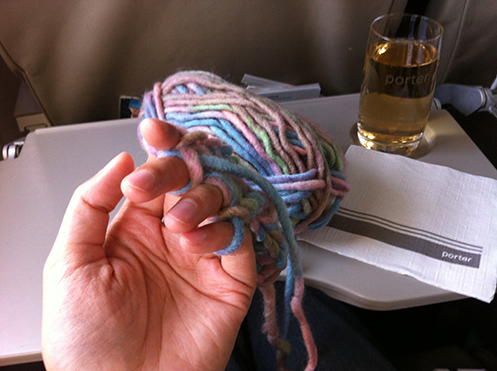 On the plane home I was knitting with a ball of yarn that I bought there. Stay tuned for more photos and stories from our trip! 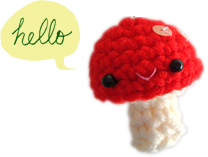 :D Hope everyone has a good start to the week! 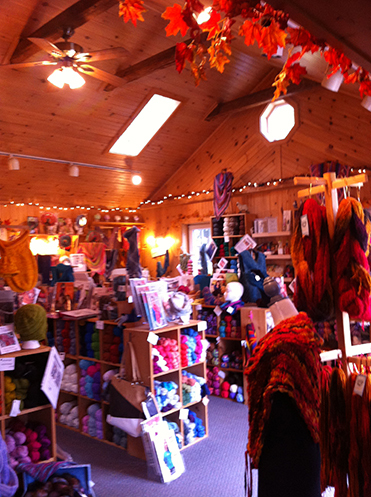 I totally enjoyed your excitement over new yarn shops, I feel the same way. My wife so doesn’t get it but she will walk through the shops with me and feign excitment. Thank for sharing.